New data collected from NASA's Cassini spacecraft suggests that Saturn's giant moon Titan has a global sea level, similarly to our own planet. This is supported by a second study released by Cornell University. 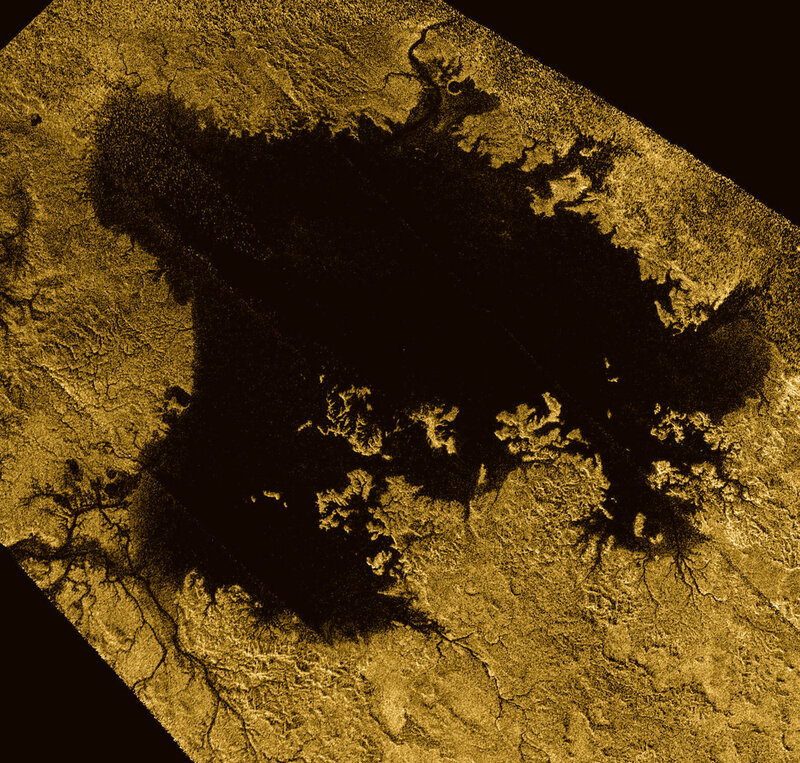 In the first study, the most detailed topographical map of Titan to date was released . Through the second study, it was observed that Titan's largest hydrocarbon seas and lakes seemed to lie at an average elevation, or 'sea level', similarly to bodies of water found on Earth. Furthermore, it was shown that Titan's largest liquid lakes and seas follow a constant elevation relative to Titan's gravitational pull, similarly to Earth's Atlantic and Pacific Oceans. In addition, the second study demonstrated that Titan's smaller lakes are at elevations several hundred metres higher than the moon's sea level. The study also suggests that liquid bodies on Titan are connected beneath the moon's surface, similarly like aquifer systems on Earth. "Hydrocarbons appear to be flowing underneath Titan's surface similar to the way water flows through underground porous rock or gravel on Earth, so that nearby lakes communicate with each other and share a common liquid level," NASA officials said in the statement.